Our Supplier base includes all major Ballscrew manufacturers including THK, Bosch Rexroth, Schneeburger, Hiwin, NSK and NB Linear Motion products as well as a few niche Suppliers we work closely with. PGM Reball are not tied to a specific manufacturer which means we can offer unbiased and independent advice when sourcing the best solution for your ballscrew needs. We can source from major manufacturers Worldwide and over the years we have developed relationships with smaller niche manufacturers who are able to offer more bespoke or specialised ballscrews. 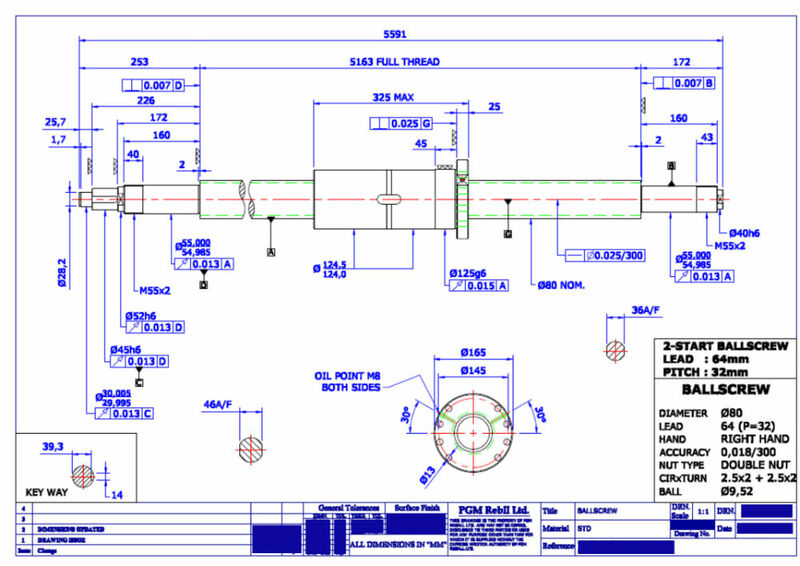 We can either source ballscrews based on product code or we can take your sample and make a CAD drawing which we send on to the manufacturer for production. We can instruct the manufacturer to complete all end machining as part of their production process or if time is critical we can complete the end machining in our own workshop. We have been designing ballscrews for 25 years so there’s not much we don’t know. This heritage enables us to understand the intricate geometries and forces at play within each ball bearing circulatory system and because we manufacture our own miniature ballscrews we are well placed to ensure your new ballscrew is made to the same exacting standards. When it arrives in the UK we carefully unpack it – measure all dimensions against the drawing instructions and then test it for performance against the specified requirements. This means you receive your new ballscrew in tip top condition as an exact match to your sample. If time is critical try our Ballscrew Repair Service. We can normally turn around an emergency ballscrew repair within a few hours and even if your ballscrew is not repairable we are often able to complete a temporary repair which may keep your production running until a new replacement arrives.